"The road is paved with ideas -- good, bad, and disastrous," I wrote in a blog post about how I nearly started The Disaster Channel, a 24-hour cable network devoted entirely to disasters and their impacts. Ideas are a dime a dozen. Timing is worth a lot more. When I set out to develop my green energy web marketplace, variously called "Seat 28B" and "VerdeInvesting," among other names, it was the fall of 2008. That's right the fall of 2008. Should be a capital letter on that Fall, maybe even all caps, FALL of 2008. What seemed like a great idea that summer -- actually, it was an evolving idea that I and my friend Lucinda had as far back as 2006, only then it was for conservation projects -- turned into a really good idea whose time had most decidedly not come by that Fall. The collapse of the financial markets and downwardly spiraling oil prices conspired to make timing for that idea um, to say the least, problematic. Add to that mix the SEC challenges raised early on by the venerable Steve Goodman at Morgan Lewis, and we had a kind of perfect storm against our retail alternative energy investing business. As I've said before, we were too small to fail, hadn't taken anyone's money and hadn't hired anyone, so it was fairly easy to downshift and turn it into a consulting practice. I still believe the idea of a web marketplace for cleantech is a good one. And this week proved it, as Mosaic, which I've written about here back when they were SolarMosaic, fully funded four projects in its first day of activity. Mosaic connects ordinary investors to high quality solar projects. Their mission is "to open up clean energy investing and fundamentally change the way energy is financed." The economy is still bad and some seasoned investors are starting to move away from cleantech. 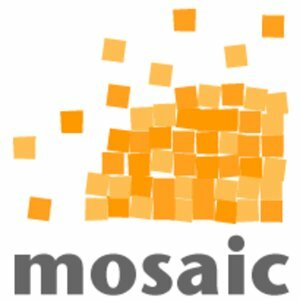 So what's different and why is Mosaic working? In 2012, President Obama signed into law the JOBS Act, which stands for Jumpstart Our Business Startups, effectively making it easier for public solicitation by private companies raising money. The SEC still has to file some rules on the matter, which it didn't do within the 270 days they were given to do so by Congress. Mosaic does not have an official approval from the SEC, but worked with state officials to open their platform to residents of California and New York. Mosaic had a private launch in early 2011. Since that time it has raised $1.1 million from 400 or so investors and funded 11 projects. This week, they raised $300,000 in 24 hours to fund 4 projects. Crowdfunding for cleantech may yet get its time in the sun.